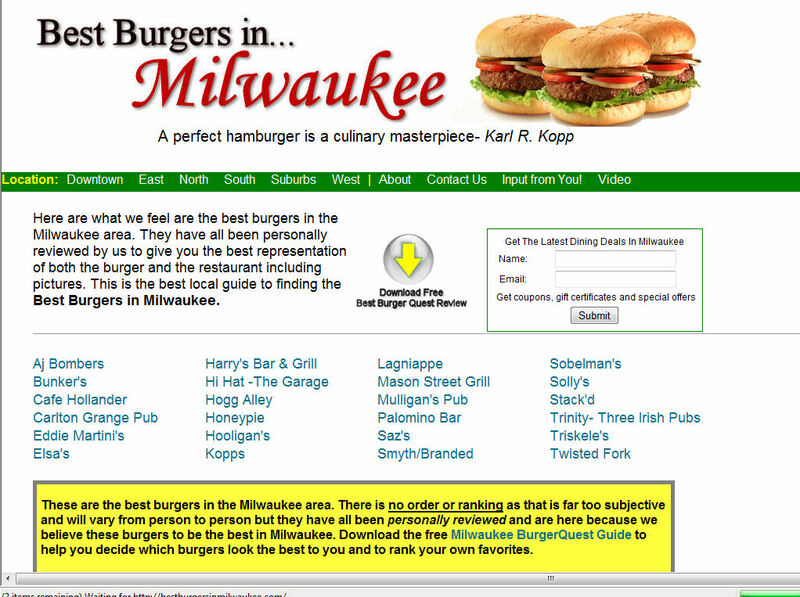 For the Best Burgers in Milwaukee (www.bestburgersinmilwaukee.com) website we started with an off the shelf theme and then modified it to meet the customers demands. He wanted to list the best burgers in random order and to have the site feel like the drudge report. Simple, white, and direct links to the posts. We designed a customer header and colors based on customer preferences. We modified things a bit so that each box on the main page would link to the burger information. We also allowed user input to add new information to the site, as well as google maps to locate each restaurant. This site can be totally changed and maintained by the customer as designed.